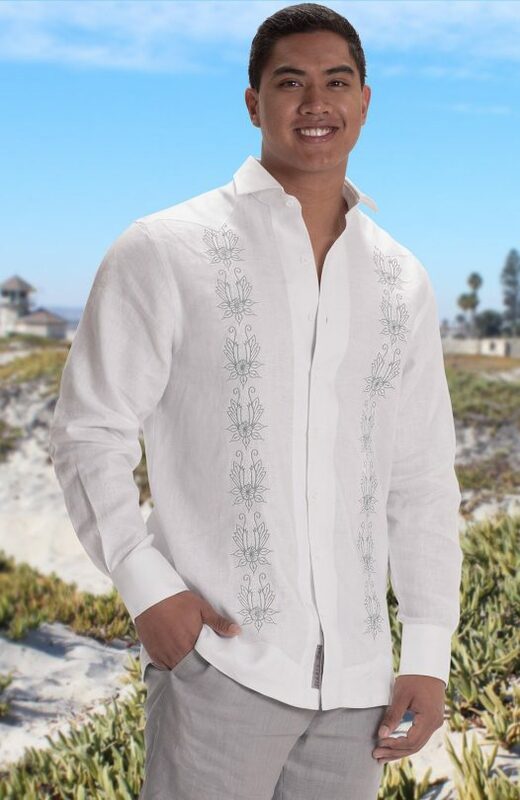 The Carmen’s has a unique embroidery design and is partnered with 3-4 finely detailed pintucks on each side. Features a relaxed fit with side button details and straight bottom hem. Choose from 24 different color options. The Belle is a fitted cut shirt with a slightly curved hem bottom and cigar pocket. 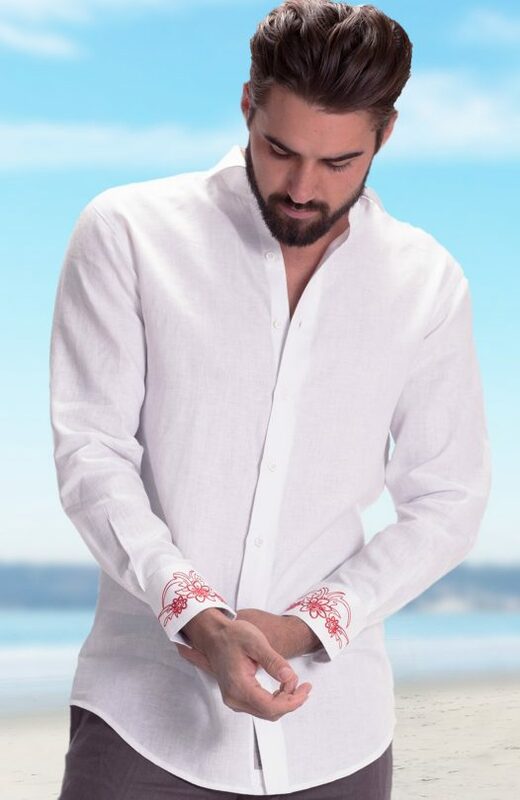 It features a subtle but detailed crochet on the back of the collar and outer sleeve cuff giving it a classy yet not over done look. Choose from 24 different fabric colors and over 300 different embroidery colors. The Durban features a unique embroidery design. 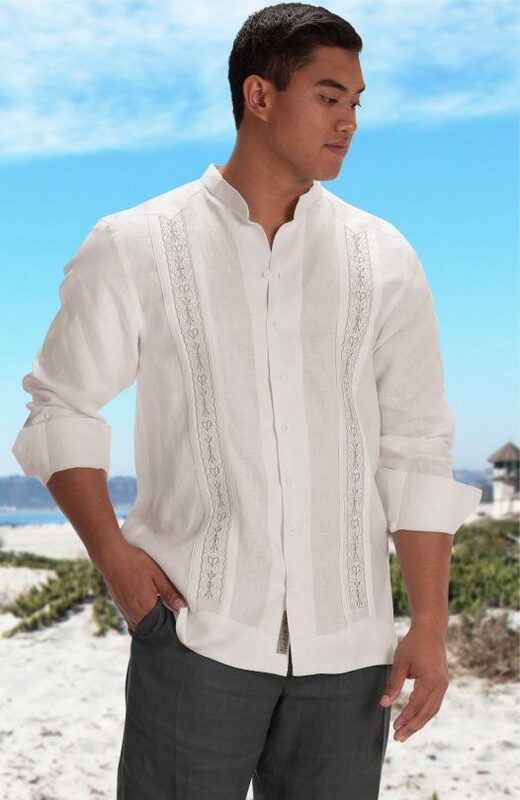 Features a “relaxed” fit with side button details and straight bottom hem. Choose from 24 different fabric colors and over 300 different embroidery colors. The Chancery features a uniquely embroidered design and is surrounded by small rows of pintucks on each side. 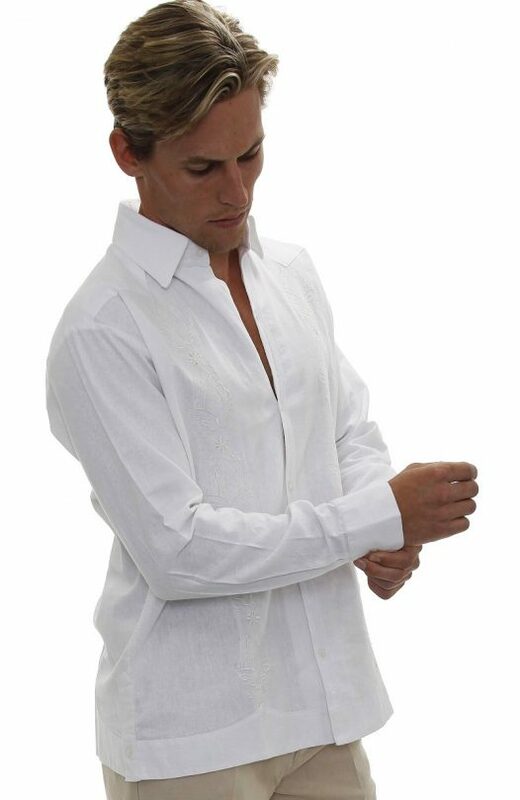 Features a relaxed fit with detailed side buttons and straight bottom hem. Choose from 24 different fabric colors and over 300 different embroidery colors. 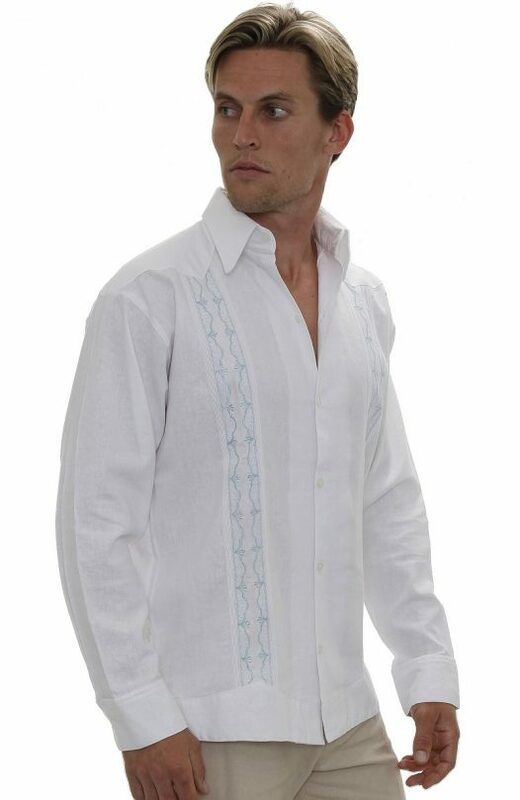 The Cayman features a tropical design on a traditional fit Guayabera. Choose from 24 different fabric colors and over 300 different embroidery colors. 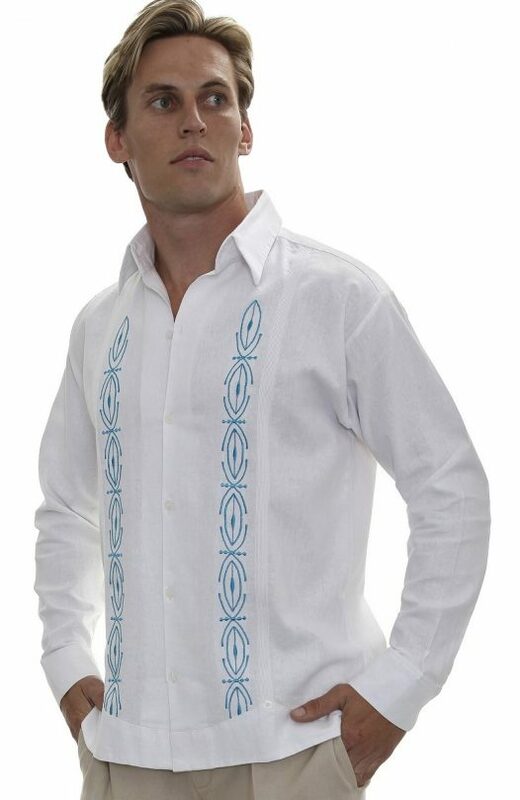 The Casares has a tropical design and adds just the right amount of detail as to not overpower a unique yet traditional style of shirt. 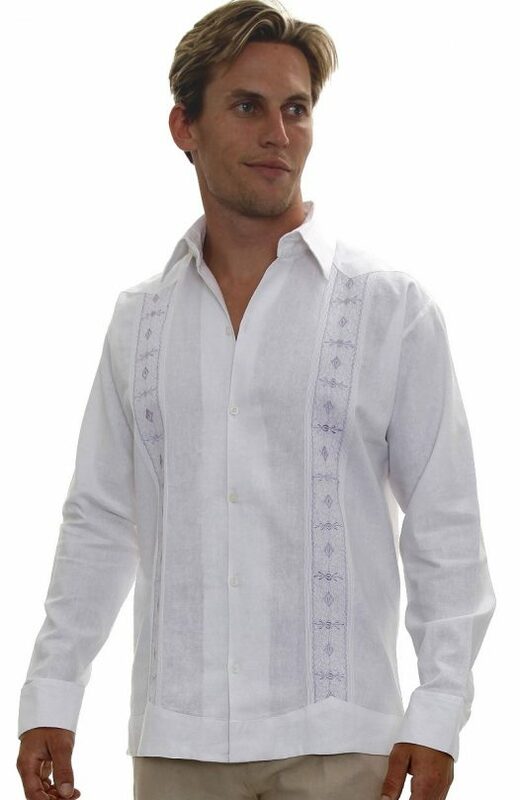 Features a “relaxed” fit with buttoned side details and straight bottom hem. Choose from 24 different fabric colors and over 300 different embroidery colors. 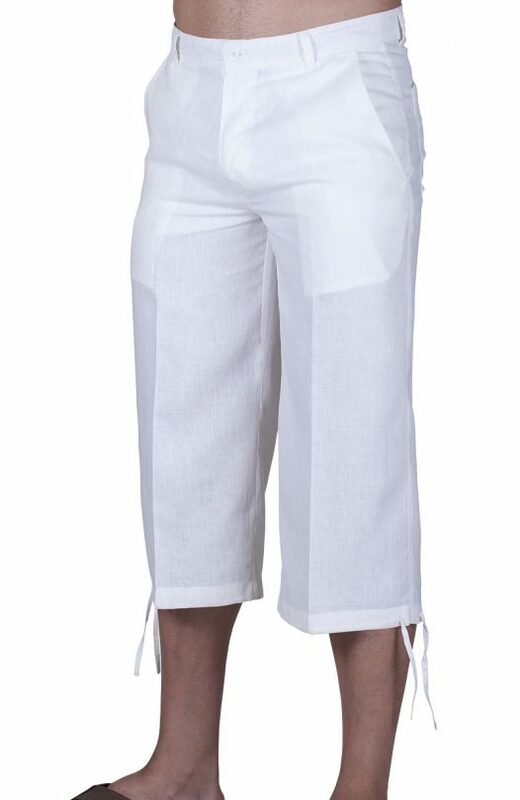 Our Capri style pants in 100% linen. Featuring a front button closure and bottom hem drawstring. Although typically worn as a longer style, these pants can be made longer or shorter. Choose from 11 different fabric colors. 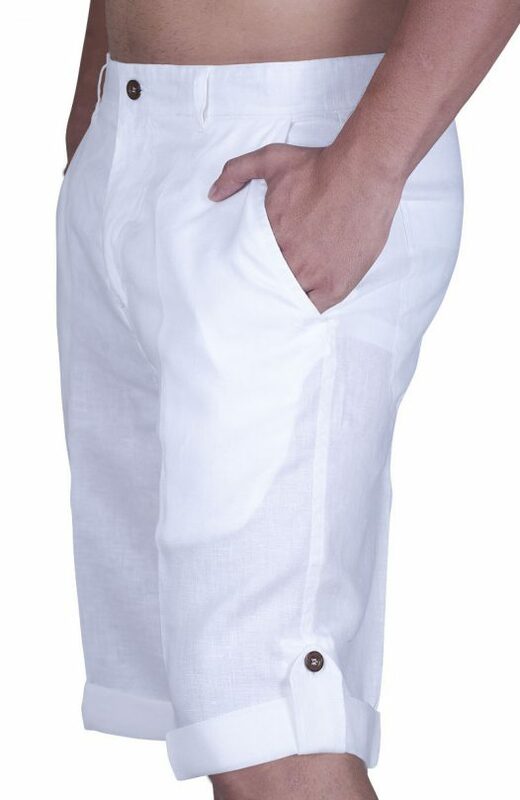 These flat front shorts are cool and comfortable in a style more suitable for a formal occasion, while in 100% linen they are still designed for the beach. Available in 11 different colors. thanks for emailing me yes everything went well and the shirts were awesome. I have added some photos please put them in your gallery!! thank you again for all of your help.